Danganronpa Another Episode: Ultra Despair Girls is a third-person action-adventure game developed by Spike Chunsoft for the Playstation Vita. It is a spin-off of the main Danganronpa series, as well as a connecting game for Trigger Happy Havoc and Goodbye Despair. It was released on September 1st, 2015 by publisher NIS America. You play as Komaru Naegi, younger sister to the main protagonist in Trigger Happy Havoc, Makoto Naegi. The game opens with her apparently living on her own, though we learn soon that she's been a prisoner in her room for over a year. Having no idea of what happened to the world outside, she lives in an apartment alone, going about her daily life and trying to stay sane. Unfortunately, her life is suddenly turned upside down (again) when the door to her prison is destroyed by none other than Monokuma, one of the main villains in the series. After escaping, we are introduced to a surviving member of the previous game, who gifts Komaru a megaphone that can apparently destroy the Monokuma robots that are suddenly attacking the city. After learning about some about the city, as well as being introduced to our partner for the majority of the game, we are treated to a chilling introduction to the Warriors of Hope, the true villains of this particular game. These children are controlling the Monokuma attacking the city, in the hopes of creating a paradise for children by killing all the adults - who are dehumanized by being called 'Demons' - and ridding the children of their influence. We learn over the course of the game that the Warriors of Hope are haunted by events in their past - effectively trapping them with their own 'Demons' who they are attempting to destroy. There is a lot more story to it, but expounding anymore will take much longer than I feel is appropriate for this review, as well as spoiling major plot points from both the previous and subsequent game. Suffice it to say it's a very well-crafted game that holds many twists and turns before the finale. The graphics are very similar to the games it's spun off from, though with added 3D models since a good portion of the last few games were 2D. I'm glad they stayed true to the previous games in terms of graphics, though the game gained a lot with the introduction of the 3D modeling. The controls are, sadly, somewhat finicky at times, making it very troublesome to hit the moving target at times. I don't believe I found any way to fine-tune the aiming, but I jumped right into the action without really spending time in the settings so I might have simply missed the option to make aiming easier. At any rate, I've yet to really run into any issue with the fine-tuning, so it's not really a complaint. As for gameplay, it's fairly straightforward. You are attempting to escape and survive in the 'Demon Hunting Game' put on by the Warriors of Hope. With the help of your partner, Genocide Jack, you move through the city, fighting Monokuma, the Warriors of Hope and, ultimately, Despair. The series revolves very heavily around the concepts of Hope and Despair, so the writing touches on the swing connecting these two emotions. The writing sometimes comes off as...contrived because it reuses the 'It's hopeless I can't go on' trope more than a few times, followed immediately by the 'I might as well keep fighting' trope almost immediately after. However, given the overall story, the writing makes sense in this regard since the story as a whole is built on the connection between the two. You can alternate freely between Komaru and Jack, though Jack has a time limit based on the battery life of the stun gun. Jack is invincible, which makes her ideal for large groups of Monokuma, but keeping an eye on the battery meter (as shown above) is important to keeping yourself from running out of battery life and leaving Komaru high and dry when you need backup. This resource can be replenished by defeating Monokuma, or activating Monokuma machines, scattered around the City. Both can drop batteries, hearts to replenish Komaru's health, or Monocoins, used to buy upgrades to Jack's abilities or 'Bling Bullets' which modify the ammo used in the Hacking Gun. Lastly, randomly located within the City are 'Game Rooms', which function as a challenge room. You are given a group of enemies and a goal to achieve within the room. In the image to the right, the clear condition is destroying all of the Monokuma in a single explosion. The Shield Monokuma turn in unison and you're only able to use the Knockback Bullet. For this, I had to sneak up behind the Bomb Monokuma on the right and shoot him with Knockback, blasting him down the room and he blew up all the Shield Monokuma. These rooms add a level of strategy to the game, and helps break the monotony of running between very similar locales. I have a long way to go before I've finished the game; I'm just now in Chapter Two, and I'm almost certain there are five or six chapters within the game. So I won't be seeing the end of this one for a while. But, if this one is anything like the previous entries, and all that I've played so far suggest it's very similar, the journey to the end will be a twisting and chilling one. I would definitely recommend this game for anyone with a Vita or a Playstation TV, because this game - as well as the other two - is one of my favorites on my Vita. Going into the Sony Conference this year, I didn't know what to expect. Bethesda had already brought the house down last night with the release date of one of the biggest games this year just last night, and Microsoft had surprised everyone with the announcement of backwards compatibility with the Xbox One. So, Sony had an uphill battle. However, with what I saw, Sony might've easily won E3 this year. Right out of the starting gate, they bring out the big guns. For the first announcement of their ninety minutes, they chose The Last Guardian. A game that's been in development limbo for close to a decade, and the projected release date is...sometime in 2016! This was simply a massive bombshell. Everyone was hoping for information on this game from the makers of Ico and Shadow of the Colossus, two critically acclaimed games from Team Ico, but I think many people expect it to be one of the final announcements, given how long it's been since the last bit of information was gleaned about it. The trailer didn't show much, but it showcases the interaction between the main character and his companion. All in all, it looked stunning, and I simply cannot wait until this game is released. Following on the heels of that is a huge endeavour, but Sony chose Guerrilla Games to appear next. Best known for their work with the Killzone series, Guerrilla Games announces a brand-new IP called Horizon Zero Dawn. Not much was said about this game, but what little information we have seems to suggest that it takes place centuries after present-day civilizations have died out. Again, the trailer doesn't explain much, but it does show off some amazing combat against..mechanical dinosaurs. Yes, there is little explanation, but from what they've shown, the game looks spectacular and it's certainly on my list of games to watch out for. It looked very polished, so I expect to hear much more about this one at Gamescom. With the huge games out of the way, Sony announces a new entry in the Hitman saga. In yet another showcase, Sony shows nothing of the story - probably for good reason, since Hitman doesn't really need story - and instead opts for showing a myriad of locales and characters, some of which will probably be targets within the game. I'm curious to see where they go after the ending of the previous game - which appears to be chronologically before this new entry, since a character says "Good to have you back" while focused on 47's face. For PS4 users only, a preorder nets beta access, which suggests there will be a multiplayer component, which I'm unsure about. Sony then went on to show some Street Fighter 5 footage. After a quick set of sequences showcasing Birdie and Cammy, they mentioned that the public beta for the game will be come to the PS4 exclusively on July 23rd..
After that brief calm, they called Sean Murray to the stage, who proceeded to blow our socks off - after we had just managed to put the back on after Last Guardian! - with some new No Man's Sky footage. After starting in a real space battle, followed by a small glimpse at the sheer size of the game universe, he jumped to a random planet closer to the galaxy center and landed. He then announced that every planet was fully destructible. Still, with no release date in sight, this game continues to astound. However, he did mention that the planet he jumped to will be able to be found by players once they get the game, suggesting that he was actually playing a final build of the game, which further suggests the release date could be sooner than we all think. Media Molecule, best known for their work on Tearaway and Little Big Planet, then announced Dreams, a pretty ambitious evolution of their previous works, in which players will be able to construct seamless 'Dreams' that can be explored endlessly. Unfortunately, I sorta glossed out at this, since it seems directed at highly creative individuals, which I am unfortunately not. Afterward, they announced Firewatch would be making its console debut on PS4. It feels very survival horror, without that overt horror feel that typically comes with that territory. I'm very curious for this one, and will probably add it to my list to buy when it comes out. Next up, Sony trotted out their seeming partnership with Bungie with footage of the new Destiny expansion coming Septmber 15, The Taken King. As well as adding new subclasses for the existing classes - a Void Bow Hunter, Arc Lightning Warlock, and Solar Hammer Titan - it will also pit guardians against Oryx, father of Crota, who has come inward from the outer solar system to get revenge for his son's murder. It looks spectacular, and seems to suggest many new areas - Saturn was among what I saw, as well as possibly more Mercury. Further, Playstation users will get more exclusive content, including a day one strike and multiplayer maps. Given the time I've spent with this game as it is, I'll definitely be playing this one, though it has some huge expectations to fill if it intends to hold players after Fallout 4 is released. Switching gears somewhat, we get some new footage for Assassin's Creed Syndicate, the yearly release for the franchise with so many mixed feelings about it. We are introduced to Evie Frye, sister to Jacob Frye and the second female protagonist available in an Assassin's Creed game - the first being Aveline de Grandpré from Liberation - and the first since Ubisoft's ill-choice of words last year about it being hard to have a female protagonist. We are shown the Cane Sword, which seems quite intuitive in use, as well as throwing knives which appear to be somewhat useful. PS4 is also going to be getting a set of exclusive missions titled the Dreadful Crimes. I expected this to be connected to Jack the Ripper, but apparently they're focused on Victorian-era mystery novelists. With what is already expected this year, I'll probably hold out on this one, since I was burned very badly with Unity's gamebreaking bugs last year. World of Final Fantasy came next. Exclusive on PS4 and Vita (the first time all show they've even mentioned their ailing handheld system) the World of Final Fantasy almost feels like a pokemon-esque game. You can shrink your character to a chibi and ride monsters, or return your chibi to normal size and have those monsters ride you for some reason. While not much was really shown about this, it looks intriguing enough that I'll definitely pick it up for my Vita, since my PS4 will be getting a major workout this holiday season. And then, Sony brought the house down. I thought it couldn't get any bigger after the announcement of The Last Guardian, but oh was I wrong. Because they announced the Final Fantasy 7 remake that's been teased for years. The character models appear to use modified Advent Children models, and I also think the in-game engine is modified from Final Fantasy 15's, which combine to make this look spectacular. No release date was given, but I will predict it will have a 2017 release date to coincide with the 20th anniversary of Final Fantasy 7. After that, I blanked out just slightly. they showed off a quartet of new games from Devolver Digital: Ronin, Eitr, Mother Russia Bleeds and Crossing Souls. They looked fascinating, but what little I noticed caused me to ignore most of this segment, since none of those games seemed to interest me - instead, spots sickened me, which is not what I want my games to do. Sony then started talking about Kickstarter. I was confused at first, and then the trailer came on. Shenmue 3 appears to be happening. A game originally based on the Dreamcast, Shenmue 3 launched a kickstarter literally during the Sony conference. As of writing, the kickstarter sits at 1.2 million dollars, 60% of the asking price of two million. A direct sequel to the previous games, this kickstarts still has a month remaining. I fully expect this game to get far more than than the asking funding, and with Sony behind them, we can be sure that funding this game will get this game released. Next, Batman: Arkham Knight was showcased. With the release date of June 23rd, we are shown one of the exclusive Scarecrow Nightmare missions. With you controlling a cop, you suddenly get dosed with Fear Toxin and you start shooting everything. It looks very fast paced, but I don't know what the final reward for these missions will be, so we'll have to see if the exclusivity is worth it. The next bits step away from games for a bit, first talking about Project Morpheus and dropping a few names of games coming for the system (which we'll probably hear more about in the coming days after people get some hands-on with it on the show floor), and then about Playstation Vue, a tv programming system currently availabe in LA, San Francisco, New York, Chicago and Philedelphia. They will be allowing subscribers to choose channels they want to pay for, which is huge - coming at a time when Verzion is pushing this exact thing with their Custom TV packages. Further, Playstation Plus members will get an undisclosed discounted rate on subscriptions, which would just add to the already massive value of the service. Returning to the games, which is far more interesting than Vue or Morpheus (though both are big for Sony, I'm sure) we are treated to a reveal of Call of Duty Black Ops 3. The segment starts with a four player co-op mission, fighting a wave of mechanized shock troops, as well as hackable artillery walkers. After that, they surprised by showing multiplayer footage, which felt very like titanfall without mechs - there was a lot of wall running to be had and seemed very fast-paced. It looked very polished, though since I'm not a fan of the CoD installments, much of the excitement was lost on me. They also announced that from here on, PS4 users will be the first to play all map packs for Call of Duty, and a beta for Black Ops 3 will appear on PS4 first in August. Shifting gears to the Star Wars side of things, we have an announcement for Disney Infinity 3.0. Coming this fall, Disney Infinity will add Star Wars characters to their already robust lineup with two new playsets set in the world. Even better, Playstation will get an exclusive starter pack which includes the base, five figurines (Including the exclusive Boba Fett figurine!!!) and the playsets Twilight of the Republic and Rise Against the Empire playsets, all a month before any other platform. It's all exciting stuff, but I've stayed away from games like this solely because the figurine collection aspect seems like an unnecessary money sink for me. More Star Wars news, we are treated to some Battlefront co-op missions. We see the Survival mission type for the first time, pitting two rebel soldiers against waves of Imperial forces, starting with stormtroopers but including AT-STs and possibly Sith warriors. It looked very exciting and I suddenly began wondering if I wanted to get this one. Playable Offline, split-screen or online, the lack of a campaign still makes me leery. Star Wars Battlefront is slated for a November 17th release. Finally, Sony treated us to some Uncharted 4 gameplay. After a small hiccup with their systems - and what appeared to be a demo restart - we see Nate and Sully working their way through an unnamed city toward the tower of someone named Sam. While I'm unsure if Sam is friend or foe, the duo moved through the crowd for a bit before a combat wave appeared. It looks very fluid, and makes me highly excited for this game - as if I weren't already. Many of the environments looked and felt completely destructible, which is huge for a game like this. I'm curious to see how much of the world can be destroyed. Unfortunately, after this demo, the conference ended abruptly, without so much as a word from anyone regarding it. All in all, Sony brought their A game this year. I was a bit disappointed about the lack of Vita coverage, but that's par for the course these days - and maybe there will be some gems hidden on the show floor for the system. As for the games, what they showed was highly surprising, and everything seemed designed to bury the competition in the dust. Hopefully, the games without release dates will come out soon, because those are quite possibly the best looking of the bunch. Samurai Warriors 4 was released by Tecmo Koei for the PS3 and PS Vita on March 20, 2014, with a PS4 version following on September 4. North America got a simultaneous release on all three systems on October 21, 2014. This review was done utilising the PS4 version. I'd like to make a small disclaimer for this review. Since it follows so closely after my previous review of Warriors Orochi 3, also for the PS4, I plan to make direct comparisons to the two games, since they are different forms of the same game. For veterans of the Warriors franchise, the menus look fundamentally identical to every other game in the series. When booting up you are treated to a skippable introduction cutscene, and when you get to the main menu you see almost the same menu as any other Warriors game. At the top is the Story Mode selection, then Chronicle Mode, which allows you to replay maps at will once the are unlocked. Following that is the Free Mode, a mode I'll cover more in depth below. The last two selections are the Dojo and the Options. Dojo allows you to manage save data and create your own characters, which you use later in the Free Mode. When you choose either Story or Chronicle Mode, you're treated to the screen to the right. 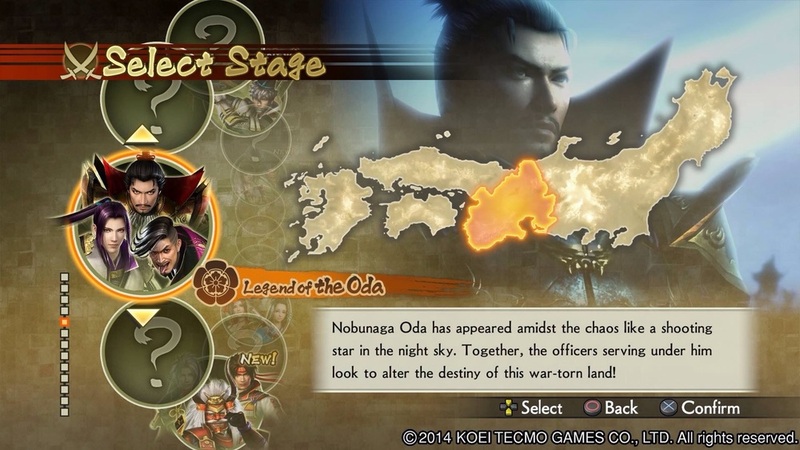 There are thirteen different stages you can choose from, ranging from the one shown to others across the country of Japan, chronicling the history of the Warring States period. Some liberties are taken with history, as is par for the course with Warriors game, but the overarching story follows history fairly closely. Indeed, some stages require you to complete previously unlocked stages, so the history contained within the game seems to be fairly accurate. When you choose a battlefield within a stage, you are treated to first the character select screen - where you choose a primary and secondary character - and then the battlefield info screen, where you can change weapons and items and get the overall lay of the land before you're thrown into battle. One difference of note in this game is that the items you choose no longer appear to permanently alter your stats like other Warriors games; instead, they act as temporary buffs that you can activate within combat - some items restore health, while others increase your attack or defense for a short period of time. This makes each item useful, as opposed to previous games where you could get by easily by stacking the highest level amulets available. After making your choices, you are thrown onto the map in a form that is very similar to previous games. Samurai Warriors 4 offers far more mobility on the battlefield than previous games, as well as changing up the control scheme considerably. In previous iterations, your controls were limited to random interspersions of your strong attack within a long string of your weak, spammable attack, with sporadic uses of your Musou ability so you could empty the gauge for refilling. Here in SW4, your typical strong attack button is instead replaced with a Hyper Attack. This functions much the same way as your previous weak attack, with your other button acting as your new strong attack (Square, Square, Square, Triangle is one type of combo, while Triangle, Triangle, Triangle, Square does a different type of combo). Further, Hyper Attack usually involves dashing forward a short distance while attacking, which is ideal for jumping between groups of cannon fodder a la the above picture. Where Hyper Attack fails, however, is against enemy commanders. In true weak attack form, commanders automatically repel Hyper Attacks, making you switch back to your normal button hammering. However, like how Hyper Attack changed combos, there's a chance while beating on an enemy commander to proc the ability to deal considerably more damage. If you hit a certain button at the right time - usually right after a certain combo chain - your character can go through a very fancy attack flourish that has the potential to take half or more of the target's health. Previously I mentioned primary and secondary characters. Well, while in battle, you can hit the Options button and switch between the two characters interchangeably. It's a system that unfortunately was not very well explained, but if used properly, you can effectively be in two places at once on the battlefield, allowing you to control the flow far more efficiently than some previous games - though not quite as well as some Dynasty Warriors iterations where you can issue orders to every commander on the field. In the course of your battles, you may be given bonus objectives. They may require you to defeat enemy commanders with certain allied commanders, or to defeat them with a certain combo count. The objectives vary, but they are a good source of income and items early on, which makes them worth seeking out and completing. My only complaint about objectives and bonus objectives is that they appear to happen very frequently, and each one of them pulls you out of the combat and shows you a screen like the one shown here. It gets somewhat tiresome, having so many breaks from combat, but it's a fairly minor complaint - and possibly one that is solved through going into Chronicle Mode over Story Mode. Lastly, we have Free Mode. After choosing your created character, you are allowed to choose a region in Japan. This region is where you begin your Free Campaign. There's no real story, and you are free to play however you like. At intervals, you have interactions with fellow commanders that you've encountered and swayed to your side, and your choices in these interactions can increase your relationship level with them - previous games have had a similar system, though it seems to be far more obvious this time around. Each node on the map screen above counts as a different location, and each move counts as a day; after your move, the other models on the map have a move of their own, so you can encounter them on a node randomly after moving. Meeting them on a map either takes you to the shop screen - in the case of traveling merchants - or to a battlefield screen with randomly generated objectives. It's a mode in which each playthrough can return vastly different results, so it's always an exciting mode to play through. I have yet to complete a game so I'm not entirely sure what happens when you complete it - or even if there *is* a completion to it - but it's quite an engaging way to pass the time. My Verdict: despite being very similar to many other games in the Warriors franchise, Samurai Warriors 4 is a very solid interpretation, with enough changes to make it feel very fresh. I would definitely recommend this game, even over Warriors Orochi 3. Being a seasooned veteran of Dynasty Warriors, Samurai Warriors gives a refreshingly different area of history to explore, one that I am very interested in learning more about. Senran Kagura Shinovi Versus was released for the PS Vita on February 28, 2013 in Japan and October 14, 2014 in North America, with a European release following on October 15. Senran Kagura is a 3D Brawler in a similar vein as the Dynasty Warriors franchise. However, due to the limitations of the Vita system, it doesn't feature quite as much depth in terms of AI or enemy count, but it does seem to offer larger aerial capabilities. 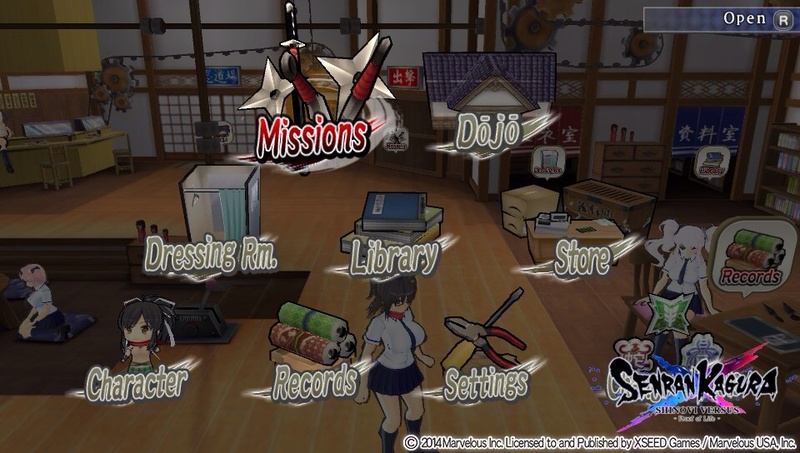 Right after getting into the game, you are given a choice between three 'schools': Hanzou Academy, Gessen Academy, and Hebijo Academy. Each have their own story, and after a short Visual Novel introduction, you are free to move around. The above screen is what you see once the original exposition is finished. You can either move around the room - there are also NPCs you can speak to who have different dialog depending on where you are within the story - or you can hit the right trigger and open the screen to the right, which allows quicker navigation. I'll skip Missions for now, since those lead into the bread and butter of the game. Dojo takes you into the multiplayer with the game. As, at the time of review, the game is not out yet, I haven't been able to test this mode just yet, but it seems to be fairly well designed from what I've seen. The Dressing Room allows you to alter the outfits of the heroines, using articles of clothing or accessories you have bought or obtained during missions. The Library functions as its namesake: it holds all the unlocked pictures, videos, songs and your overall score. Some items are given over the course of the missions, while others can be bought through the Store, which I'll cover right now. As the name suggests, the Store is your go-to for buying clothes, accessories, and Library entries. It also has the appropriately named Lingerie Lottery which, as you might surmise, allows you to bet money (Zeni) to get new Lingerie for your heroines. There are 98 pieces of Lingerie to collect and each time you bet money, the chance to get a new piece decreases. You can also presumably buy lottery tokens from the PS Store for some amount of money that is currently unknown. These are probably ideal, since each token gives you a 100% chance to get a new item, but depending on the cost, might be exorbitant. Moving down to Character, this allows you to change characters - however you can do this through the Dressing Room by hitting the Left or Right Trigger, so the use of the Character menu is to allow you to examine each character's stats and combo list. I find this selection to be fairly unnecessary, but it might get its mileage later on. At any rate, Records allow you to save outside missions - which allow you to save after every one - as well as load a different save or delete. Settings should be self-explanatory, since it's the same menu you are probably familiar with from any number of other games. Finally, the selection hiding under the watermark on the right is to Change Schools. You are allowed to change your school at any time from this screen, and I believe it resets the story - each school has its own story, and what you do in each doesn't appear to crossover between schools. Finally, to the meat of the game. Missions allow you to choose between story missions or character submissions. Story missions progress the main story and demonstrate the relations between the different schools you can choose from. Character submissions follow a specific character and help flesh out her backstory. They appear to consist of five missions, in which you fight against a group of cannon fodder, and a boss. Sometimes there are waves you have to complete, other times you are pitted against the boss from the outset. Once inside one of the missions, which all seem to function basically the same, the brawling portion of the game begins. As previously mentioned, you fight a group of enemies plus a boss. The controls are very similar to Dynasty Warriors, with the Square Button being your standard weak attack, Triangle being your strong attack (and combo ender), Circle allowing a dodge move and Cross being your jump. There is also your Shinobi Transformation button, typically assigned to the Left Trigger, which acts as both a strategic move and a game changer. When used, the Transformation restores your health to full, while also modifying your attacks. In addition, your attack and defense go up, which helps tremendously if you're fighting a particularly challenging boss. However, bosses also have access to this Transformation, and will typically use it when they are down around twenty to thirty percent health. This provides them the same benefits afforded to you, so be warned. Also, as astute readers might notice form the image to the right, there is another system in play. The more damage you take, the more damage your clothes take. I haven't yet figured out the point behind this system entirely, but I have noticed that if you use one of your Shinobi Arts on the boss - you refill this bar through combat, and at certain intervals gain more - while they are in this state of...undress, it destroys a piece of their lingerie according to which form of Art is used. As I mentioned, it's a fairly interesting and seemingly unnecessary system, but maybe it has a use later on that I have not encountered as of yet. Completing the mission takes you to the level up screen. Based on the stats on your mission complete screen before this, you gain more levels. Mastery refers to the power within each 'stance' available to each heroine: Flash refers to your pre-Transformation power; Yang refers to your post-Transformation power; and Yin refers to your power within 'Frantic Mode', an activated mode in which your clothes are completely stripped, but your attack skyrockets, making you a literal glass cannon. You can very easily be destroyed in Frantic Mode, but it allows you to chain your weak attack indefinitely, which would allow you to juggle the boss indefinitely as long as you're careful of your surroundings. Last thing I want to cover slightly is the animation. Considering you're dealing with dozens of enemies on the screen and many of them are probably being hit by attacks, the animation is quite fluid. In fact, in the missions I have completed, I have experienced little to no slowdown - I say little, since if there was any slowdown I did not notice anything. Verdict: Senran Kagura Shinovi Versus is a fairly odd game. On the surface, it's very 'fanservicey' (a term used in anime and manga to denote elements added simply to please its fans) with its additions of the lingerie and stripping mechanics. When you delve deeper, however, the systems in place show an understanding of brawling games in a similar vein to Dynasty Warriors. All in all, it's a strange combination, but I think they did a great job. The story seems to be a typical anime story, but the gameplay is engaging enough to make me want to keep playing. Further, the grading system inherent in mission completion gives you a way to aim for a high score in any given mission. I will continue playing this game in weeks to come, and I would recommend it to anyone with a Vita. Sword Art Online: Hollow Fragment was published by Bandai Namco Games and released in Japan on April 23, 2014, Hong Kong on May 29, and North America on August 19 (with Europe and Australia following on the 20th) for the Playstation Vita. For those unaware of the source material, Sword Art Online takes place entirely in a VRMMO (Virtual Reality MMO, using new technology called the NerveGear, a headset capable of intercepting all brain communication to the body, translating that movement into the game) that has been turned into a death game - upon logging in, the ten thousand players find that they are unable to log out, and are told by the creator Kayaba Akihiko that dying in game will mean you die in the real world. The series follows a beta tester of the game known by the user handle Kirito and, for the sake of this article, his exploits within Aincrad, the world within the SAO game. Hollow Fragment - and it's predecessor, Infinity Moment - actually takes place in an alternate timeline from the source material. In the Light Novel and Anime series, the game comes to an end when Kirito and Kayaba have a duel on the 75th floor of Aincrad, in which Kirito wins and everyone is logged out. In the games, however, Aincrad appears to glitch when Kirito lands the finishing blow, and the death game continues. Thus, the group moves on to complete the game as intended, since they have no other choice. Luckily for North Americans, Hollow Fragment also contains a High Definition version of Infinity Moment, the PSP game released in 2013 in Japan, which means NA users can finally experience the story laid out within IM. A downside from this is that there are technically two stories within the game, and aside from a couple small connections, they are largely independent. Because of this, I intend to review both portions as separate entities. Left Trigger on the left; Right Trigger on the right; normal face buttons below Right Trigger and available choices in the middle - there are more hidden under the unselected slots. The gameplay for both portions are deceptively simple. You're given three sets of skill palettes: the four face buttons naturally, and a set tied to the four face buttons for both the left and the right trigger, bringing the total of quickly usable skills to 12. Further, the left and right triggers also allow you to issue orders to your party member through the D-Pad. The default Circle button is tied to your 'Burst Attack', which is basically a sword combo which culminates in a changeable Sword Skill. While it is possible to get through most, if not all, of the game using just this attack, it is far more satisfying to vary your attacks according to the opponent. As such, the game is at once an Action RPG and a Tactical RPG. In many fights, I find myself switching - Down on the D-Pad during combat, and an ability that basically transfers all aggro from you to your partner - frequently with my party member, moving from attack to support with ease. This allows you to heal up between major boss attacks - or even allow your partner to take the damage which may kill you. One has to be mindful however, since if either you or your partner dies, it's game over and you have to start from the last autosave, which is far more annoying that you might think. Still, I've found the AI partner much hardier than myself at times, so it comes down to knowledge of your opponent and your skill at issuing orders during combat. As mentioned previously, the story is made up of two parts. The first that I'll cover is the Infinity Moment story line. This starts immediately after the assault team moves up to the 76th floor of Aincrad. Arc Sophia acts as your base of operation, since the team quickly finds themselves unable to return to the lower floors due to the glitch that occurred when Kirito defeated Kayaba. Soon, the girls that Kirito has befriended during the game previously also come to the floor and are trapped. The story progresses simply: beat the floor boss and continue to the next floor to do it all again. Luckily, each floor has it's own flavor, which makes each floor fascinating to wander around. My only gripe about this portion of the game stems from the size of each floor, but that stems from the limitation of the original PSP hardware as opposed to being indicative of the game itself. The environments that I've seen in the lower areas are unique enough to make each new floor fresh. The second part of the story is the Hollow Fragment story line. This is where many players will spend the bulk of their time, since it's absolutely massive. The story line begins as soon as the game begins, and is how the game introduces you to the basic gameplay. Kirito is suddenly teleported to an unknown area, where he meets an Orange player named Philia (Since this is a death game, PvP is generally frowned upon, but many players thrived on killing; the normal cursor color is green, while players who have committed crimes, such as theft or murder, have orange). She begins to attack Kirito, but then a large enemy appears and you have to kill it and this fight acts as the basic tutorial for the game. The Hollow Fragment story is very much a story about Philia, so in order to progress through it, you have to have her in your party. It takes you through five major zones within the Hollow Area, which is a testing ground for the Cardinal System - the main governing program for Sword Art Online - and developers. As expected, items found within the Hollow Area are far more powerful than many items on Aincrad, which means that if you're looking for a challenge in Aincrad, it's best to do much of that first. I chose to do the Hollow Area first, which means I'm basically steamrolling my way through Aincrad. Outside of the separate stories, Hollow Fragment adds many other systems that were not in Infinity Moment. For instance, while it wasn't explained very well within the game, Hollow Fragment adds something called an "Implement System". The basic premise of this is that you are given certain requirements, and upon completion you'll unlock skills, items, and weapons. Some of the strongest items in the game are gated behind Implements. The requirements range from completing a thousand sword skills to taking five hundred thousand damage. Upon completing a requirement (of which only one can be 'checked' at any given time), you are given access to the subitems connected to it. Some of the implements are very grindy, and I've found myself zoning out while farming them out during hollow missions - random spawn missions that range from killing a boss to heading to an area without getting into battles. Completing the Kobold King Hollow Mission in Solo Multiplayer! For great justice! 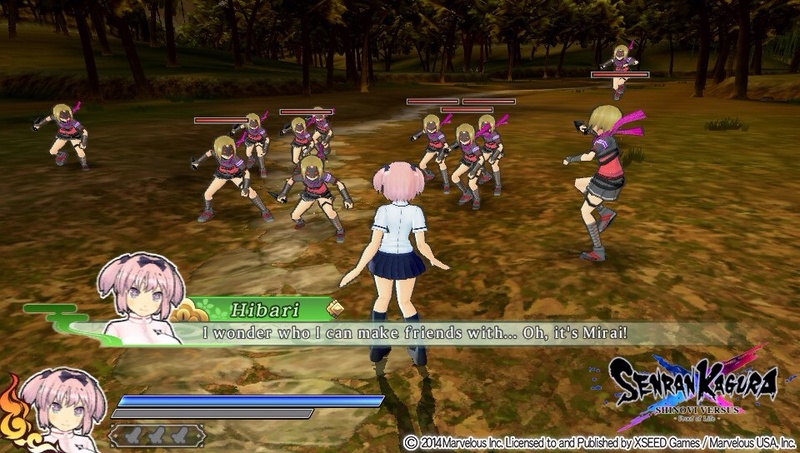 As well as adding the Implement system, Hollow Fragment also adds Ad-Hoc Multiplayer into the game. Ad-Hoc is very limited since you have to be near other players in order to do so, but at least there's a multiplayer system here that was lacking in the previous PSP game. It is also possible to go into multiplayer alone, which allows you to bring up to four other player characters with you, so it makes killing some bosses much easier. It was also brought to my attention that chest you have not opened in single player appear in multiplayer, and opening them there does not open them in single player, making it easy to farm chests for lucrative items or cash. It was further brought up that this was a glitch that has been fixed in the JP and HK versions of the game, and will be fixed in a big patch coming to the US on September 23. Glitch or no, it's a good way to gain cash early on, so early adopters will be able to easily and quickly farm for these drops to pad their cash flow. Finally, completing the Hollow Fragment story opens up a dungeon call the Concealed Area. It's basically a one hundred floor dungeon as of writing has no checkpoints, so if you want to complete it, you must do so in a single bound. The aforementioned update will add checkpoints, which will make it much easier to complete. I haven't yet hit a level where I feel comfortable actually using this place, but I've read that it's the best source of XP in the entire game, so once I finish the story I'll probably be farming this place. There's also a small 'dating sim' type game here, where you basically woo the heroines within the game. They never really explain this within the game, but getting the heroine's affection level to five gives a trophy, so it's something a trophy hunter must learn how to complete if they intend to receive the platinum for this game. It's highly recommended to do this portion while doing something else, since it's very easy to get bored by it all. Aside from the trophies, there's very little need to do this portion, so you can generally ignore it. Further, each heroine has four alternate costumes that are unlocked by praising them when they use a skill that falls under one of three parameters: Attack, Defense, and Buff. As before, this is fairly grindy, so I've been doing this while farming Implements, since you can force the heroines into one of those paths beforehand and raise her parameters during the grind. Aside from the few gripes I've mentioned above, there is one that I still find myself shuddering from: the translation. While it is better than the English translation within the HK version, it's still *very* Engrishy. There are times where I cringe reading a line. Some lines are better than others, but far too many are horrid. I wish Bamco had taken a bit longer on localization for the sole purpose of ironing out the translation. The game itself is very solid, but the translation makes it very hard to recommend to people who aren't familiar with the series - also the spoilers from the opening sequences are pretty huge. If you watched or read SAO before, this game is a good addition the the mythos, despite being a separate entity. If you haven't watched or read the series previously and plan to, I would recommend staying away from the game until you've done so, since there are spoilers within this game. if you don't care about spoilers and enjoy hours of mindless gameplay, this game is definitely for you. Finally, it's also a game very much aimed at trophy hunters, due to the nature of some of the trophies. All in all, it's a game I'll end up returning to from time to time once I finish it, since I very much enjoy the ability to spend hours farming in a game that's fun to play. Akiba's Trip: Undead and Undressed was published by Acquire and released in Japan on November 7th 2013 for PS3 and PS Vita, and July 3rd, 2014 for PS4. XSEED Games localized it for North America, which released August 12th, 2014 for PS3 and PS Vita, with a PS4 release coming November 4th, 2014. The review was on the PS Vita. I was very surprised when I heard this game was getting a NA localization, since the premise is quite...obscure for many American gamers. The main character is Nanashi, a high school age boy living in the Akihabara district of Tokyo, Japan. The story begins with Nanashi learning that he was transformed into a Synthister, a vampire-like creature that feeds off the life energy of humans living within Akihabara. Not long after, another main character appears, a young girl by the name of Shizuku Tokikaze. A short tutorial battle ensues, after which there is more exposition, before finally opening the exploration portion. The story revolves around the Synthisters and why they're feeding within Akihabara, as well as a lot of backstory on Shizuku. The main story is set in stone, however there are five 'routes' within it; these routes revolve around the affection level of five of the main female protagonists, and show different angles of the same general struggle. The gameplay is fairly addictive. Outside of the visual novel portions, you have two additional angles: Exploration and Combat. Exploration sets you in a near perfect representation of the Akihabara district. Those familiar with Akiba (A diminutive of Akihabara) will delight in seeing some of their favorite locales within the game. For those not, it serves as a nice intro to the district, should one decide to travel there. Additionally, you can receive flyers in-game for real stores and cafés within Akiba, with a trophy for those who collect all of those flyers. Combat within the game is deceptively simple. On the surface, it's quite basic: hitting Triangle targets the enemy's head, Circle hits their chest, and Cross their legs. The goal of this is to strip your opponents - being vampiric, Synthisters melt in the sun (though covered later in the story, and not relevant to events, by melting they turn back into normal humans instead of completely dying). Conversely, you also have to be mindful to not be stripped yourself, else you hit a game over screen - though the game allows you to redo any combat quest following, so long as you choose to continue. It's quite simple, until you factor in blocking and strip chains, and unblockable attacks, etc. For the unwary, it's entirely possible to be completely overwhelmed by your opponents on higher difficulties, but once you understand the nuances of combat, the game evens out in difficulty. To add a level of depth, you can change your clothes and weapons to numerous different varieties. You can collect them from the NPCs that spawn in each zone - though you have to level up your Strip Skill for that clothing style. Without a maxed Skill, the clothing has a high chance to 'rip', rendering it useless to everyone and disappearing to the nether. Once it maxes, you can gather all the clothing to your heart's content. 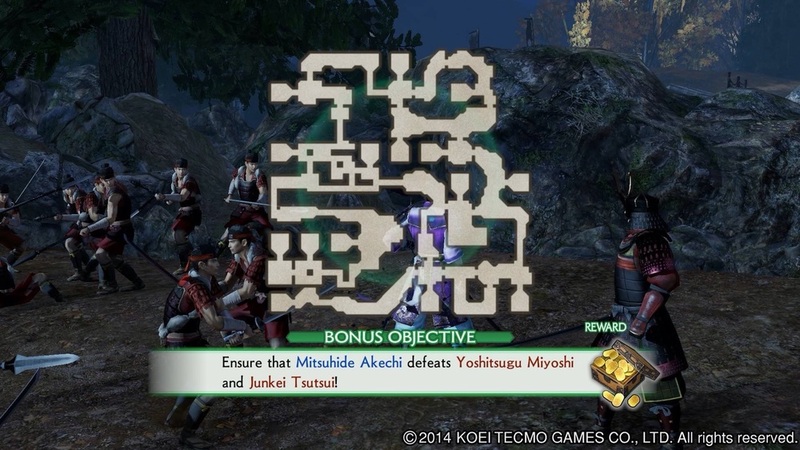 Finally, there are two parts that pad the length of gameplay: Side Quests and the Battle Arena. The Arena is quite simple. Each level - F, D, E, B, A, and S, in order from lowest to highest rank - pits you against three groups of opponents, the goal being the same as any combat within the game: to strip the opponent. Early levels are populated with groups you can find wandering the streets naturally, while the final levels have unique gear that can only be found in the battle arena. Sadly, there is no way to repeat a set without restarting the game (I'll cover that slightly later), so be careful if you go in with less than max Strip Skills and want the unique clothing. Side Quests function like any other game that has side quests; you accept the quest, and then complete it to the satisfaction of the giver. The side quests can be failed if you don't complete them in a timely fashion - usually within two or three story missions - so it's a good idea to complete them as soon as you accept them. They range from combat (There's an annoying man who runs around making train noises all day) to search quests (A maid cafe is opening and you're looking for new maids to work there). They all give money, so it's a good way to gain cash early on. Last thing to cover are gripes. The game is fun, but unfortunately comes with some downsides. The combat sometimes causes the frame rate to suffer, and the hit detection sometimes misses the mark entirely. Once you figure out the timing, it doesn't affect the combat too much, but it is slightly annoying that one even has to learn how to move around the stuttering frame rate. Additionally, the game sometimes chooses to not load important quest targets - not a problem for Main Quests, which load when you enter the requisite area, but having to search an area for minutes at a time for a quest target that's standing in a corner that you checked right before is troublesome. A simple increase of loading precedence of these targets would solve this issue, but until then it's definitely an issue. Finally, the lack of a targeting system is my main gripe. During combat, not being able to target an enemy right next to you - instead preferring a target on the other side of the battlefield - was the cause of multiple game over screens for me. I would've liked a simple targeting system to make it much easier to complete quests. Verdict: If you're in the market for an off-the-wall JRPG that may or may not be appropriate for others to watch you play, buy this. The few gripes I have are minor to the fun I had playing this. Also, being able to choose to play the game entirely in Japanese - in the English port - gives it a big boost for those who are learning the language. Very few English releases of JRPGs like this allow you to change the written language into Japanese, so being able to do it sets it above the rest I've found so far. Rogue Legacy is a 2D sidescrolling roguelike that was released on June 27, 2013 for Microsoft Windows, October 16, 2013 for Mac and Linux, and July 29, 2014 on PS3, PS4, and Vita. This review is for the Vita, but it should translate well to any system. Aside from a short tutorial at the beginning, it doesn't seem to emphasize the story. Throughout your playthroughs, you encounter journal entries around the castle that flesh out the story. The main foyer of the castle also contains a massive doorway with recesses for the 'bosses' so it's possible there's a true story that I have yet to truly find. The gameplay is solid. The enemies move predictably enough to plan out your attacks, while your character moves just slowly enough at times that if you miss a strike, you can easily die. And you will die. The game is designed around using the money you gain on each dungeon run to upgrade your character's stats. Further, the game has a system that keeps you from banking your money: before you enter the dungeon, you encounter an NPC named 'Charon' who takes all of your money - which can be lessened by the aforementioned character upgrades. Given this, you need to be mindful of your upgrades before entering each time. If you don't find enough gold in each run before you die, you're forced to start over with no money. When you begin, you get to choose between three randomly generated characters. They have a randomly generated class (which determines how you play each run), a randomly generated spell (though if your class is archmage, you can switch between spells) and randomly generated traits. Some traits are meaningless, while others change the way the character plays. Alzheimer's, for example, make it so your character can't use the map setting - however the normal in-game minimap works as intended. Dwarfism makes you really tiny, and Gigantism makes you huge. However, Flexible and Clumsy in the above image appear to have no real use. Some traits are awesome to have (ADHD makes you move faster and OCD gives you MP for breaking objects) while others are annoying (Near and Farsightedness make some portion of your screen blurry, and Dementia makes you see enemies that aren't there), but all of them brings a new flavor to each playthrough. You can have at most 2 traits, or as few as none, so each new heir keeps things exciting. You start out with a few classes available, and you unlock other classes through gold. Each class also has a boosted version, which have a special ability that makes them unique - the Barbarian King, for example can shout (reminiscent of the Unrelenting Force shout from Skyrim, which is an amusing nod to that series). Once you choose your class, you begin on the manor screen, where you buy character upgrades. After running by your vendors and paying your toll to Charon, you're on. Each dungeon is randomly generated, though you can pledge some money to a vendor to keep a certain layout. Unfortunately, I'm not too familiar with this feature, but the idea is spectacular. The dungeon itself is divided into 4 distinct sections: The Castle, The Tower, The Forest and The Dungeon. Each area has a certain level range within it, with The Castle being the lowest. Each area also contains a boss which, when defeated, does not respawn. This makes death a little bit easier to complete your mission...if you can survive the journey to the next boss. The best thing about this game is that it was cross-buy and cross-save, which means you get three games in one and you can play on any system at any time and keep your current status. This made the $16.99 price tag worth it for me. Final Verdict: Buy. The first bit of the game is annoying, but once you get a handle on the enemies and survival, it makes the rest of the game fall into line relatively easily. I've never been a big fan of roguelikes, but this kept me entertained for hours, so I'm curious about trying other roguelikes in the future.